Kaylee Korol is a transgender pansexual woman specialised in UX design and high ticket sales. In Grade 1 I knew who I was. I knew better than any other time in my life so far really. The years before social pressures really kick in. By the end of grade 3 things had changed. Society had erased my identity. I say identity rather than gender identity because when you lose your gender identity it’s not just the gender, it includes what pens you use, who you play with, what colours you’re allowed to like. By the end of that year I was gray. Without my identity I wasn’t much at all, but it was so subtle the change over the year that I didn’t realize the cause of it. It wouldn’t be until grade 12 that I realized what had happened. That year I found my way to the Asktransgender subreddit. But it wasn’t a sudden eureka moment. It was slow as I made my way against societies grains to realign myself. First I experimented with clothes and looks, then talked to a therapist in secret, then I came out. Coming out was hell. The weird thing was that 99% of people where ok with it. The ones who weren’t were my parents who where actually scared of everyone else taking it poorly. Ironically that made them the ones who took it poorly. It was coming out to my grandparents who turned it around. They where extremely supportive and that calmed everything down. And this is where I started to bloom. After not having an identity for so long it was quite amazing to come back into one. I was no longer gray I was colourful and bright. I could start to enjoy life again. At this point in my life I was able to focus on rebuilding myself again and it was amazing to be able to do so. This whole experience was difficult but I wouldn’t trade it for anything. I am stronger and I am myself because of it. I have a sign on my window that says “I didn’t come this far to only get this far” and that is my motivation. I went through all that and survived, I couldn’t have done all that for nothing. I earned this life and now I get to make the most out of it. R: Hi Kaylee, thank you for your time. What do you do for a living? Can you explain to us a little further? K: I currently work as a UX design contractor for a small tech company. I got into UX design after doing a year of university and wasn’t happy with the whole “4 years then get a job” strategy. So I took a 3 month course and got my UX design job. This allowed me to break out of my near poverty that had been brought on by my transition. Now that I have a solid base that I can succeed from I’m seeking new avenues to grow my success by starting my own business doing High Ticket Closing. R: What are the benefits and disadvantages of being atransgender entrepreneur? K: A disadvantage that I find which is quite personal is that I feel out of place at Womens events. They often focus on women specific struggles that I haven’t dealt with. My biggest advantage is that I was raised as male. This may seem odd but I learnt to be confident in myself and to take action. I also feel I developed a lot of problem solving skills because of my upbringing as well. R: What do you like to do to feel happy and calm? K: In my everyday life I feel most calm talking a nice bath. But one time that stands out in paticular was camping with my friends. We went out next to a lake near a rock outcropping. It was a few years after things had settled down with my transition and I laid down on the rocks and sunbathed. The combination of being happy in life, being in nature and being with friends was so peaceful. K: The future. I’m a huge cyberpunk nerd and would love to see what new technologies exist. Potentially the end of aging, space travel, or perhaps something akin to the matrix. To me exploring new technologies and their effects on society are much more intriguing than going into the past. R: As a successful transgender person, what is your advice for young people? K: Dream big. 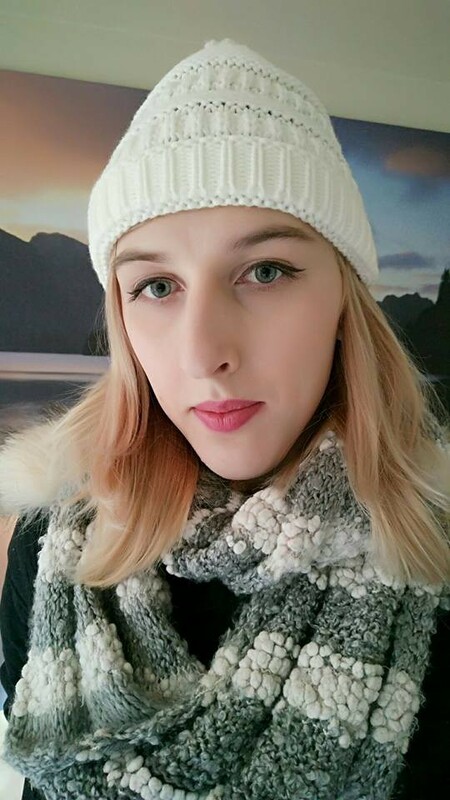 For the longest time transitioning was just a big dream for me. It’s often surprising how possible the impossible really is. It’s just up to you to make it happen!